So far I’ve talked about the aura, the chakras, the meridians, Triple Warmer, the radiant circuits and the Five Rhythms. I believe from this you may be getting the picture that we are as intricate in our energy anatomy as we are in our physical anatomy. You would be correct. What becomes even more obvious when you begin to learn about and practice energy medicine is that we are very individualistic in how these energy systems respond to the physical, mental, emotional and spiritual pollution we are confronted with every day. Unlike the AMA, which seems to have long had a mechanistic approach to our bodies – A + B = C (always) – and is just now beginning to realize we are individuals, energy medicine is quite clear that each of us can have a very individualistic response to our environment and, therefore, although there are various tests to make and treatments to offer, there is no one test or treatment that applies to all people in all cases. The real truth of energy medicine is that keeping these energy systems in balance creates wellness. When illness occurs, you know that one or more of these systems is out of balance and it’s time to bring it back into balance, thus regaining wellness. As I said at the beginning of these discussions about the different energy systems, the Basic Grid is the foundation of your energy systems and when it becomes compromised the other energy systems will also become lessened. Most people think of the chakras being the foundation of the body’s energy system and energy health. Although a lot can be done for a person’s health through clearing and balancing the chakras, it is the Basic Grid that lies like the girders of a skyscraper at the foundation of all the other systems. When there are impairments to this system, some energy medicine treatments may not hold. So what causes the Basic Grid to become compromised? Being the core of the energy systems of the body comes with a lot of responsibility. It is like a shock absorber, allowing the body to endure the shock of a severe trauma in ones life that otherwise would devastate us by causing the heart or some other vulnerable organ or system to fail. Not only the energy of the trauma is absorbed, but also the details of the actual event. For this reason, restoring the Basic Grid and releasing the energy it holds can evoke some powerful memories that will need to be assimilated along with the corresponding emotions and any accompanying shock. The Basic Grid is totally contained within the physical body. It contains 64 patterns and eight of these are major branches. The good news is that, by repairing a major branch, the other branches are then rebuilt. Children are the most vulnerable to trauma, although trauma at any time in ones life can cause a disruption in the Basic Grid. Therapy can be good, but the trauma will have still caused one or more of the patterns to pull apart. When this happens too often, it becomes an effort for the body just to hold its energies together. People can become inflexible, haggard, and even appear stiff. It can keep healing from occurring and cause there to be no joy in life. Adults who experienced traumas in their childhood that have never been resolved can be suffering from numerous symptoms created from disruption in the Basic Grid. What’s even more disturbing is that they may have been suffering with this for decades and wondering why they can find no lasting healing or attain any joy in their lives. This is not the work of beginners in the field of energy medicine. I admit to only beginning to study it now. I do recognize, however, how important this can be for the healing of some who have experienced this type of trauma to the body, mind, and/or spirit. It makes it well worth the time and effort to learn about it. So what can you do to possibly restore any disruptions in your Basic Grid? Although we now know that the Basic Grid, and not the chakras, is the foundation of our energy systems, it is also a fact that the chakras and the Basic Grid are very dependent upon each other. It’s not even necessary to know which of part or parts of the Basic Grid are out to be able to aid in its restoration by clearing and balancing the chakras. Also, by periodically clearing and balancing your chakras, you lessen the chances of being distressed all over again should a traumatic memory from the past resurface. Using your hands alone, you can clear, balance and strengthen your own chakras or those of friends and family. This simple process makes people feel more grounded, centered, boosts your energy and helps restore the Basic Grid. It takes about three to nine minutes for each chakra. ***Beginning with the root chakra, place either hand – open – with the palm down about four inches over the chakra and being to circle counterclockwise slowly. (Just imagine each chakra as having a clock face on it so you can remember which way is counterclockwise.) These circles should be about the width of the body. ***After completing the counterclockwise circles, shake your hand to shake off that energy and then begin to circle over that same chakra in a clockwise direction for about half as much time as you did the counterclockwise circles. ***You do these same steps for each chakra, proceeding up the body until you have done them all, ending with the crown chakra. 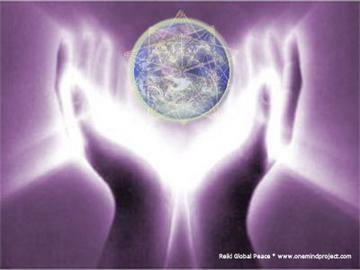 ***There is one exception to this: If you are a man or working on a man, the crown chakra is done in reverse order. Clockwise circles are used to clear the crown chakras of males while counterclockwise circles balance them. A woman’s crown chakra spins in the same direction as all the other chakras. 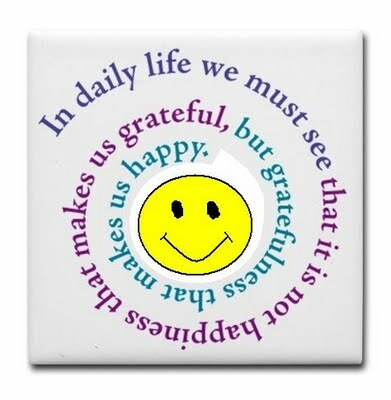 If you’re a fan and practitioner of the principles of the Law of Attraction, you’ll be happy to hear that just feeling gratitude strengthens the Basic Grid. Along with gratitude, being optimistic along with accepting that there are things you cannot change and meditation are all methods of creating inner peace. Inner peace strengthens and restores the Basic Grid! There is one other method that helps in restoring the Basic Grid: the Celtic Weave. As I stated early on, “the Celtic Weave is just one name of this connector of energy systems. This is a system that laces/weaves through all the other energy system, creating a unifying reverberation among them. It helps these systems to stay in a close web of communication with each other creating harmony and cooperation.” Because this “system” is so important to all the rest, I want to talk about it more fully in the next article and, tell you there, how it can be used to help the Basic Grid. Until then, if you feel that what I’ve discussed here may apply to you, then work with your chakras – clear and balance them – and find reasons each and every day to be grateful. If you don’t already meditate, perhaps this may be helpful to you. In any event, I’ll be back in a couple weeks and tell you what I know about the Celtic Weave. I’m so grateful for all of you! Have a beautiful day!!! This entry was posted in Astrology, Metaphysics and tagged Basic Grid, Chakras, Energy Medicine, Law of Attraction, Metaphysics, Paganism, Self-Empowerment, Self-Healing, Self-Help, Transformation, Vibrational Healing, Wholistic Healing, Wicca. Bookmark the permalink.